Apple’s iPhone X is now finally a reality following the announcement of the new flagship this past Tuesday, and with so many facets to the device, there are still plenty of questions to be answered as well as new ones that are popping up as we learn more about it. 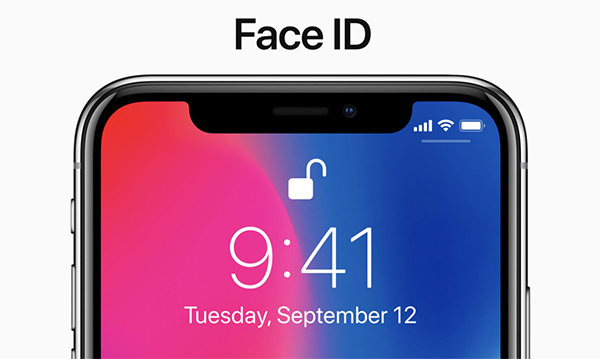 Without doubt the most talked about aspect of the new iPhone X is Face ID, the biometric security system that will replace Touch ID when the iPhone X arrives on November 3rd. Whenever there is a major shift in the iPhone we are used to, such as the removal of Touch ID and the arrival of Face ID, there will always be a learning curve as well as a number of questions surrounding the move. This is most certainly no different, and we have three or four little tidbits that we think you may have either missed during the whirlwind that is the past few days. Also worth reading: Apple’s Face ID Vs Touch ID Comparison: Which Is Better And More Secure? This is both a good and a bad thing in a way, but whereas Touch ID could register a bunch of fingerprints, Face ID cannot. That means that you cannot have your spouse’s face registered as well as your own, which can be great for security but not so much for emergencies. It might be worth making sure they know your passcode, too. Well, maybe not with all sunglasses, but most. That’s according to Apple’s Craig Federighi who was replying to an emailed question from a fan. In addition to sunglasses, Apple has already confirmed that Face ID will work with all kinds of specs. Replying to the same emailer, Federighi also said that if you find yourself in the unfortunate situation of handing an iPhone X over to a robber or a cop, you can “grip the buttons on both sides of the phone when [you] hand it over, it will temporarily disable Face ID.” Hopefully we will never have to try that particular feature out! According to Apple’s App Review Guidelines for September 2017, the company says that third-party apps implementing Face ID authentication must require under 13 year olds to authenticate locally via passcode instead of their face. there is a video on another thread here on redmondpie where they were testing out the iphonex right after the keynote and the apple employee had this face in there and the person trying it also added their face and both unlocked the phone… so which is it?